I recently read that rejection and the fear of being rejected, is one of the highest stressors that people experience everyday. To reject someone or something is to refuse, to throw back, decline, deny, or withhold something most likely in the form of love and/or acceptance. Each one of these descriptions I know all too well. It seems as if the act of rejection has had a long running stint in my life. Just like a t.v show, it had its heightened days in syndication and now continuously plays in reruns, only I want this plot of the story to be put to rest. No matter what angle you look at it, the plot was always the same. Someone or something was always chosen over me. To this day, I still struggle with why I wasn’t enough; nothing more, just plain ol’ me. Not matter how you slice it, whether it was the abuser who was allowed to remain in the home, the fact that those appointed to protect me battled with drugs and alcohol, the worthless men that revolved in and out of my sister’s and my young life, the endless replies of “we went with another candidate”, those friends who decided to dissolve the friendship for reasons unknown, rejection was what I was served. I’ve been studying the steps of Jesus and trying to figure out how He handled and overcame rejection. What I keep hearing is that He knew who He was in Christ. He knew the truth about Himself and that truth is what he clinged to more than any other voice He heard. Now it is time for me to follow in His footsteps. I have made some memory cards with God’s truth on them (some are listed below). I will continue to study them until they resonate in my heart and that voice is all I hear. For then, that unwanted pain will finally be put to rest. Because of God’s mercy and love, I have been made alive with Christ. You have been filled in him, who is the head over every ruler and authority (Colossians 2:10). 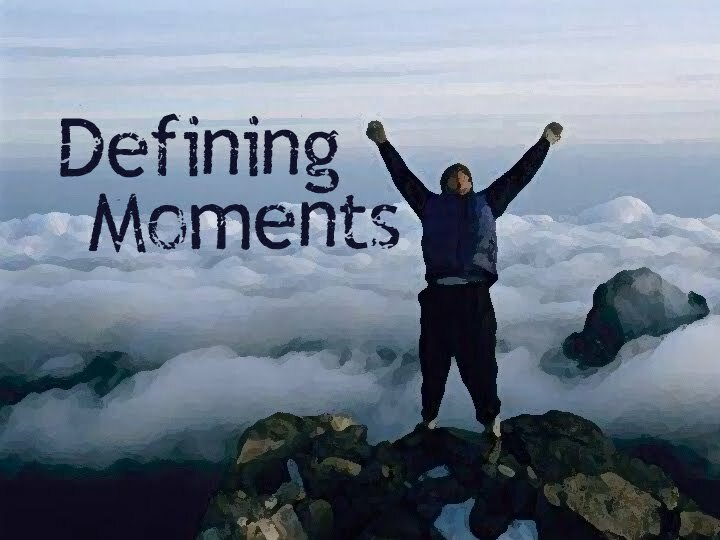 The other day, a friend forwarded me a devotional titled “Defining Moments”. The message was about those in the Bible who had experienced defining moments and had their lives forever changed. The author talked about Peter walking on water, Daniel escaping the lions’ den, Joshua finally crossing into the Promise Land, and Shadrach, Mesach, and Abendigo who were untouched by the firy furnance. The author further conveyed that these moments set the course for the remainder of their lives and each of the servants had years of preparation that led up to that moment. on April 14, 1912, the Titanic sank. on December 7, 1941, Japanese attacked Pearl Harbor. on August 17, 1977, Elvis died. on January 28, 1986, Space Shuttle Challenger exploded *(I watched this on t.v). on January 16, 1991, U.S. attacked Iraq. on April 19, 1995, the Oklahoma City Bombing. on September 11, 2001, an attack on U.S. known as the September 11th Attacks. For those who were deeply affected by those moments, we would have to believe that those experiences were forever engraved into their soul. Almost like it became a part of who they were/are and mapped out the direction of their remaining journey. Something heavy continues to set with me and the feeling cannot be easily explained. Have I reached my defining moment? Have I missed it? Is God still preparing me for it? 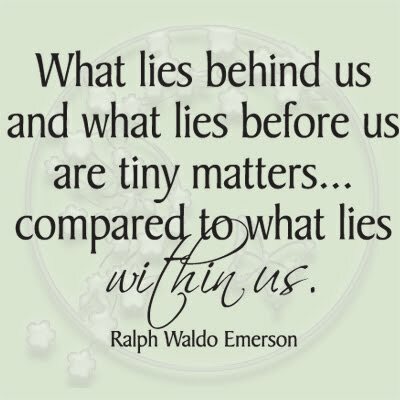 Have you had your defining moment? If so, I would love to hear about it!